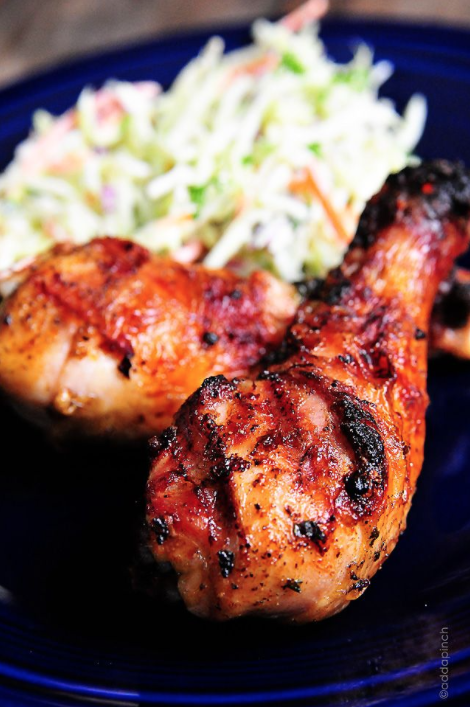 It’s hands down THE BEST chicken marinade you’ll ever taste that promises juicy, tender chicken and awesome flavors each time whether on the grill or in the oven! And having the perfect cookout isn’t without some seriously good tasting chicken – the easy-to-make, lip-smacking, mouthwatering kind that everyone will be raving about and asking for more! Juicy chicken guaranteed. The marinade’s mix of spices includes BEER, which tenderizes the meat, allowing the marinade flavors to soak into the chicken for delicious results. Soak at least 1 hour to overnight for the chicken to absorb the flavors and they’re ready to cook! Grill and oven recipe too. We have the best grilling and oven directions, depending on how you want to make them, with same tasty results! You can serve with this tasty Chick-fil-A coleslaw recipe, or your own favorite side dish. It’s perfect for the summer holidays, parties or a spectacular dinner! Enjoy! Delicious, juicy and tender chicken! Mouthwatering! Pour olive oil into a 2-cup liquid measuring cup. Mix together salt, pepper, paprika, cumin, and cayenne pepper and add to olive oil. Add garlic, onions, and parsley. Mix together well with a fork. Slowly add beer as it will cause the mixture to foam and bubble slightly. Pour marinade over the chicken in the zip-top bag. Remove as much air as possible from the bag and seal. Turn the bag from side to side to make sure all chicken has been coated with the marinade. Place the bag flat on a small, rimmed kitchen sheet pan and into the refrigerator. Allow to sit up to 1 hour or overnight for best results, turning the bag over every few hours to keep the chicken coated. Preheat grill to medium-high heat. Add chicken to the grill and cook, flipping once and basting with reserved 1/4 cup marinade until cooked through, about 5-6 minutes on each side. Once the internal temperature is 165 degrees or hotter and outside is all dark and crisp (some black is okay, but keep to a minimum), remove the chicken to a platter and let it rest for at least 5 minutes before serving. Line a sheet pan with foil. Set a rack in the pan and set aside. Preheat oven to 375 degrees. Sear chicken in a heated non-stick frying pan over high heat for 2-3 until the skin is brown (might get a little smoky, not to worry). Transfer chicken to the prepared sheet pan. Brush both sides of the chicken with reserved marinade and bake 15 minutes. Then brush chicken with some more marinade and bake for an additional 30-35 minutes (thermometer should read 165 degrees and it’s done), and serve. 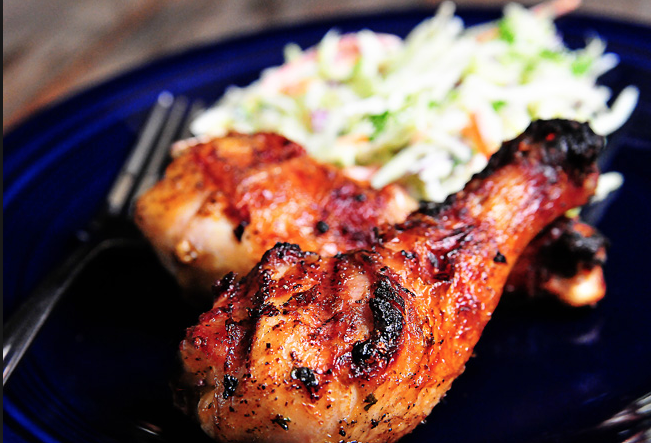 Marinade works best for about 5 pounds of chicken. If you prefer not to use beer, you can replace with apple cider or ginger ale. Want A Great Side Dish Recipe? Now Watch How To Make Slow Cooker Cream Corn! BLT Potato Salad, A Mouthwatering Recipe With Bacon & Ranch!